There are now almost 9 million private renters, and for the first time since the 1960s there are now more private renters than social housing tenants. The age profile of private tenants is getting older as “Generation Rent” remains unable to get on the property ladder: half of all private tenants are now over 35 and almost a third of them are families with children. Renting is going to be a part of life as a third of all private tenants say that they expect to be renting for the rest of their lives. 2) Shelter’s research showed that over 60% of renters have experienced at least one of the following problems in their home over the past 12 months: damp, mould, leaking roofs or windows, electrical hazards, animal infestations and gas leaks. One in ten private renters claim that their health has been affected by problems with their property which their landlord has not dealt with. 3) Every year 70 people die from electrical accidents and 350,000 people are seriously injured. Research suggests that private renters are more likely to be affected. News of mother found dead in the bath by her five-year-old daughter, electrocuted due to faulty wiring in the family’s rented home, wiring that had not been checked for years, is known to many. 1) While UK property stock is getting older, Landlords have few incentives to improve the conditions of the properties they rent out when Britain’s housing market is so overheated. 2) Tenants have no information about the property they will live for months and possibly years before renting decision. Unlike buying a product where customers can read reviews on websites like Amazon and take their own time to take a decision, tenants get 5 to 10 minutes to view a property and decide. 3) Landlords are able to find tenants who are willing to pay for a home almost regardless of its condition, so the consumer pressure which helps to regulate standards in other industries is largely absent. 4) Many tenants are worried about becoming the victims of a retaliatory eviction if they complain to their landlord or report him (or her) to the authorities, so they stay silent. 5) Shelter estimates that nearly a quarter of landlords are so-called “accidental landlords” – amateurs who end up renting out a property because they inherit it or find they can’t sell it – and they are often unaware of the legal responsibilities which they have towards their tenants. Should authorities not deal with this in a formal way? 1) Most councils hold very little data on the private rental properties in their area, they do not know which property has which problems and where to start. There is usually no single data source that shows which properties are being privately rented and who owns them, which means most local authorities have little to go on if they want to enforce legal standards. 2) Local authorities have been hit by funding cuts of over £20 billion during the previous parliament, and many have had to respond by reducing their housing teams to a bare minimum. 3) Local authorities are usually unable to intervene on behalf of tenants to try and ensure their homes are of a decent standard because, even in the rare cases where tenants do come forward to make complaints, environmental health teams and housing inspection units often lack the necessary resources to enforce their legal powers. How can Rating a rental help improve this situation? When we talk of the benefits of living in the Information Age, there is no better example of how tripadvisor helped improve standards of hotels and restaurants. 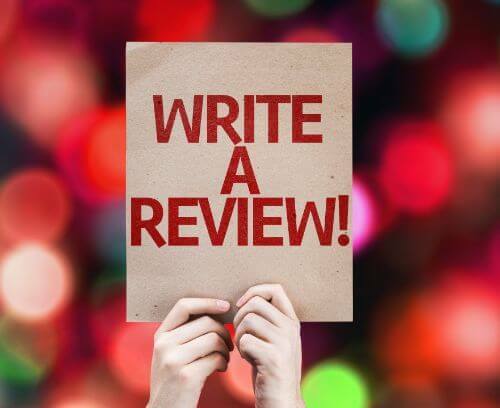 Similar to the concept of trip advisor, if tenants devote few minutes to rate a property they rented, it would provide most invaluable information to potential tenants. It would help differentiate good properties from the bad and landlords of poorly managed properties will be forced to raise the bar. In many developed countries property rating websites have been operational for over decade and Landlords and managing companies are well engaged responding to queries online. These countries are reaping benefits of using information technology to improve quality of rentals. Driven by bad renting experience in the UK we have set up a free to use website Asktenants.co.uk which allows tenants to rate their rental property. Hundreds of tenants have already rated their rental and their rating is helping fellow tenants take informed renting decisions. Website also provides crime, demographic and schools information for free. Asktenants.co.uk gives UK private tenants a platform to rate their experience. Please visit the website now and register* to rate your rental. A view of how your rating appears is shown in the picture of this blog. We believe every prospective tenant should have a right to know this basic information about the property before they rent. Let’s create a Tripadvisor for tenants, rate your current/former rental Now!